Clients who have experienced traumatic events and seek EMDR therapists rely on them as guides through their most vulnerable moments. Trauma leaves an imprint on the body, and if clinicians don't know how to stay embodied in the midst of these powerful relational moments, they risk shutting down with their clients or becoming overwhelmed by the process. If the body is not integrated into EMDR therapy, full and effective trauma treatment is unlikely. This book offers an integrative model of treatment that teaches therapists how to increase the client's capacity to sense and feel the body, helps the client work through traumatic memories in a safe and regulated manner, and facilitates lasting integration. 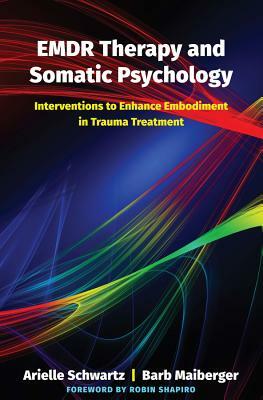 Part I (foundational concepts) offers a broad discussion of theory and science related to trauma treatment. Readers will be introduced to essential components of EMDR therapy and somatic psychology. The discussion then deepens into the science of embodiment through the lens of research on emotion, memory, attachment, interpersonal neurobiology, and the impact of trauma on overall health. This part of the book emphasizes the principles of successful trauma treatment as phase-oriented, mindfulness-based, noninterpretive, experiential, relational, regulation focused, and resilience-informed. Part II (interventions) presents advanced scripted protocols that can be integrated into the eight phases of EMDR therapy. These interventions provide support for therapists and clients who want to build somatic awareness through experiential explorations that incorporate mindfulness of sensations, movement impulses, breath, and boundaries. Other topics discussed include a focus on complex PTSD and attachment trauma, which addresses topics such as working with preverbal memories, identifying ego states, and regulating dissociation; chronic pain or illness; and culturally-based traumatic events. Also included is a focused model of embodied self-care to prevent compassion fatigue and burnout.